The first step in balancing a reed is to make sure the crow is up to a “C”. If it isn’t, clip the reed. I prefer using single edged razor blades for this. You get a much cleaner cut. Ok, you have a reed that is crowing a “C” and with a good opening. The first thing to understand is the three basic things you want in a reed. Check to make sure the ends and corners of the tip are as thin as you can make them. It the edge gets feathered, clip it a bit. Try the reed in the oboe starting the notes without the tongue. Only use your air. If you hear that the notes don’t speak cleanly, and you have kind of a “eeeeaaawwww” attack to the start of the note, that means that the transition between the tip and the heart needs some work. If everything looks good, but the reed is still unresponsive or very hard, take the heart down a bit. Clip the reed again to maintain the “c” crow. Now you can take a bit out of the back to give some more depth to the sound. Whenever you scrape the back of an oboe reed, go slowly and always check the crow. If it drops, clip it. Remember the key word with all of this. . . Balance. 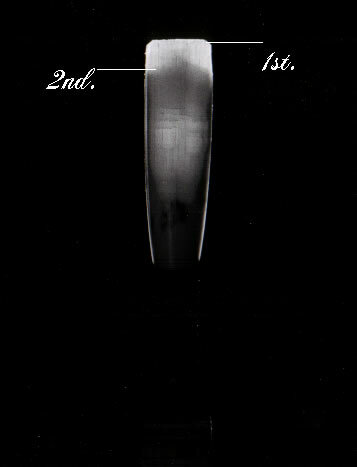 There are no set rules to how thick certain parts of oboe reeds should be. Many factors affect the way the reed works. For more information, sign up for the Making Oboe Reeds Newsletter and receive new tips every month. 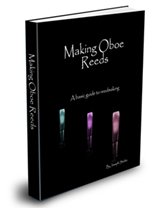 If you would like more detailed information on this topic and many many others, take a look at the “Making Oboe Reeds” E-book. I’m searching about oboe reed heart. What’s it’s so important?